Picking out a Christmas tree that fits into your home and livens up the holidays is a high point of the season. While heading to the nearest tree farm and grabbing the first tree in sight sounds ideal, it could be disastrous for your holiday. 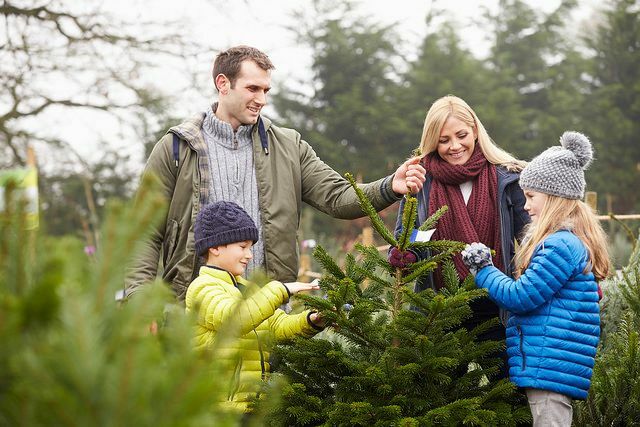 Home damage and a dead tree are two possible outcomes that can come from a carelessly chosen tree, so here are a few tips to help you pick the best Christmas tree and avoid any major problems! Plan – Measure your ceiling height from the floor and take note of it. A tree that’s too tall could do some damage over the holiday season. Make sure there’s plenty of room around where the tree will go as well. Move any furniture before the tree arrives. Purchase – Before making a purchase, check the tree’s height to ensure it fits into your home without hitting the ceiling. Shake the tree and take note of how many needles hit the ground. If it’s quite a few, it might be best to find a different tree. Care – Taking care of the tree is arguably the easiest part of the whole ordeal. Start by setting the tree up in a tree stand that holds at least a gallon of water. Fill the stand often to ensure the tree gets all the water it needs. Doing so ensures fresh needles all season long. Have a very merry Christmas from all of us here at Bradshaw Chevy Buick GMC Cadillac!